As Florida mother Jamie Gilt was driving through Putnam County, on her way to pick up a horse, she was shot by her 4 year old son who was riding in the backseat. The bullet pierced the front seat and hit her in the back, after the child had picked up the loaded .45 handgun and discharged it inside the vehicle. The woman told deputies about the event after they arrived at the scene. 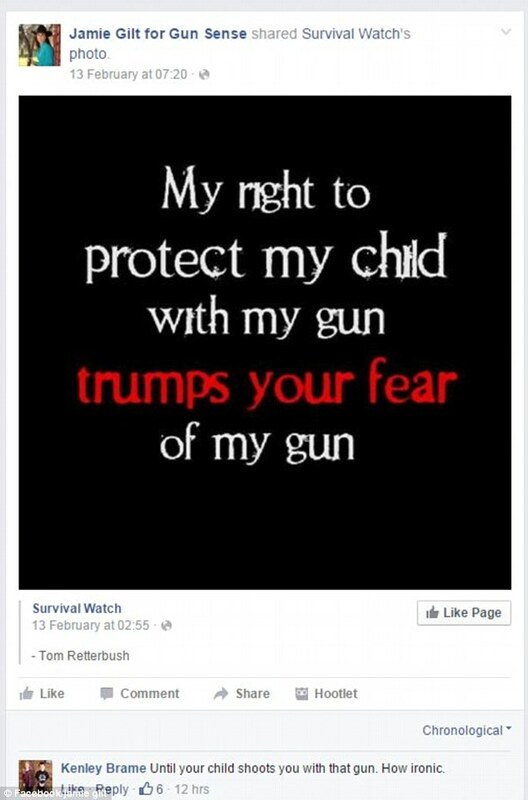 Now here’s the kicker: Mrs Gilt, who is an avid supporter of 2nd Amendment rights, had bragged about her son’s ability to handle firearms only 24 hours earlier. Commenters were quick to point out the irony in the statement, that is only trumped by the constant complaints of the gun lobby about the dangers of gun regulation for freedom in America. Nearly half of the world’s civilian-owned firearms are in America.